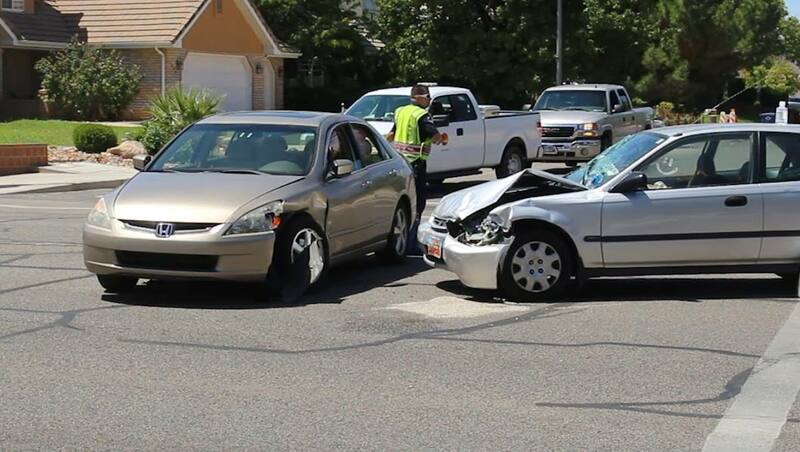 ST. GEORGE — Traffic was slowed considerably on River Road in St. George Tuesday afternoon when two Hondas collided at the intersection of River Road and St. James Place. Before the driver could figure it out, the light turned red and Hale said she continued on, hitting a Honda Accord coming out of St. James Place. The driver of the Honda Civic was uninjured but the front seat passenger got a “puffy lip” when she hit the inflated airbag. The back seat passenger bumped her head on the seat in front of her. The driver of the Honda Accord was shaken up and had a minor burn mark on her arm from the airbag deploying, and the passenger complained of minor chest pains from the seat belt restraining her. No one was transported from the scene. The driver of the Honda Civic was cited for failure to obey the red light, Hale said. St. George Police officers, the St. George Fire Department and Gold Cross Ambulance responded to the scene.